The Leica C-Lux adapts to every situation at the speed of lightning and makes it so easy to take fantastic pictures, however far away the subject may be. Its 15x optical zoom brings your favourite subjects close enough to touch and captures them for eternity. 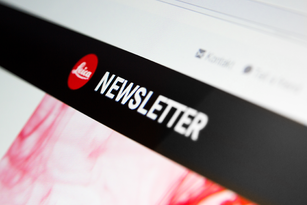 The Leica DC Vario-Elmar 8.8–132 mm f/3.3–6.4 ASPH. lens of the C-Lux makes no compromises: with focal lengths from 24 to 360 mm (35 mm equivalent), the 15x optical zoom brings you creative opportunities when taking pictures from Montmartre to the Eiffel Tower – and everything in-between. 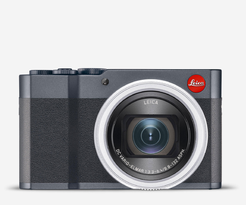 The 1-inch sensor of the Leica C-Lux delivers outstanding picture quality and makes it the clear winner in its category. Its 20-megapixel resolution delivers brilliant pictures in RAW or JPEG format. The quality of pictures taken with the C-Lux is therefore just as amazing when you see them in large format prints. With its high resolution and a sensitivity range up to ISO 25600, the top-of-the-class camera is ideally prepared for every imaginable lighting situation. Capturing the perfect moment needs a steady hand – and speed. With instantaneously sharp autofocus and face detection, the Leica C-Lux is absolutely ideal for capturing unexpected situations. Thanks to its fast autofocus with 49 metering points, subjects are focused sharply in an instant and a continuous shooting rate of 10 frames per second ensures that you’ll never miss even the most fleeting moment. Intuitively selectable scene modes provides valuable assistance when shooting landscapes, portraits or at night, and give you the freedom to concentrate entirely on your subject. Thanks to the integrated digital viewfinder, you immediately have the part of your subject you want to capture in your sights. Thanks to the viewfinder’s high resolution of 2.33 megapixels, the clarity and contrast of the viewing image is outstanding at all times – even in particularly bright ambient light. As the viewfinder covers 100% of the image field, framing of subjects is extremely precise and you have complete control of composition. The C-Lux naturally also offers a range of dioptre compensation settings that allow unhindered use of the viewfinder by spectacle wearers. A tap is all it needs to capture the world in pictures. Thanks to its 3-inch touchscreen display, taking pictures with the Leica C-Lux is as easy as using a smartphone. As all marks are repelled by a special coating, even fingerprints on the display are now a thing of the past. And, for everyone who loves to spontaneously share their stills and videos in social networks– after selecting the files to be shared on the 1,240 k-dot resolution TFT-LCD screen, they are transferred via Bluetooth to the free Leica FOTOS app. Use the remote wakeup function to connect to your Leica camera, even when it is off and out of reach. With automatic clock setting, your cameras' date and time are always in sync with your smartphone. Take advantage of the energy efficient Bluetooth® technology to always stay connected while you are on the go. Wonderful moments can often be relived much better in moving pictures. 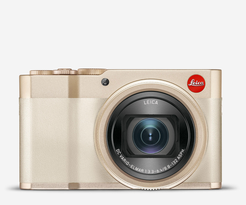 And that’s exactly what the Leica C-Lux is perfectly prepared to do: it captures video in high-resolution 4K format. Thanks to exceptional resolution – four-times higher than full-HD – and up to 30p & 100 Mbit in MP4 format, the C-Lux delivers all the technical prerequisites for shooting your own, personal short film. What’s more, the 4K-photo function enables you to extract and save still pictures directly from video footage at a resolution of up to 8 megapixels. AF Maximum wideangle setting: 0.5m/ 1‘6“ to ∞. Maximum telephoto setting: 1m/ 3‘3“ to ∞. AF Macro / MF / Snapshot Modes / Motion Pictures Maximum wideangle setting: 3cm/ 13/16“ to ∞. Maximum telephoto setting: 1m/ 3‘3“ to ∞. Image sensor 1“ MOS sensor. Primary color filter. Total pixel number: 20,900,000. Effective pixels: 20,100,000. An uninterrupted motion picture take cannot be longer than 29 minutes, regardless of the circumstances, e.g.the respective settings. In the case of 4K videos, the time limit is 15 minutes. 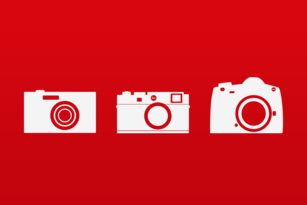 Compact camera accessories Protective and classy accompaniment for your Leica.